Edward Barber and Jay Osgerby created two new, indoor/outdoor tile collections for Mutina that give the user creative control to design a unique space thanks to the endless combinations the tiles afford. Both designs are bold and were inspired by experiments with geometry, color, patterns, and versatility. Take a look and imagine what can be created! Edward Barber and Jay Osgerby created two new, indoor/outdoor tile collections for Mutina that give the user creative control to design a unique space thanks to the endless combinations the tiles afford. Both designs are bold and were inspired by experiments with geometry, color, patterns, and versatility. Take a look and imagine what can be created! 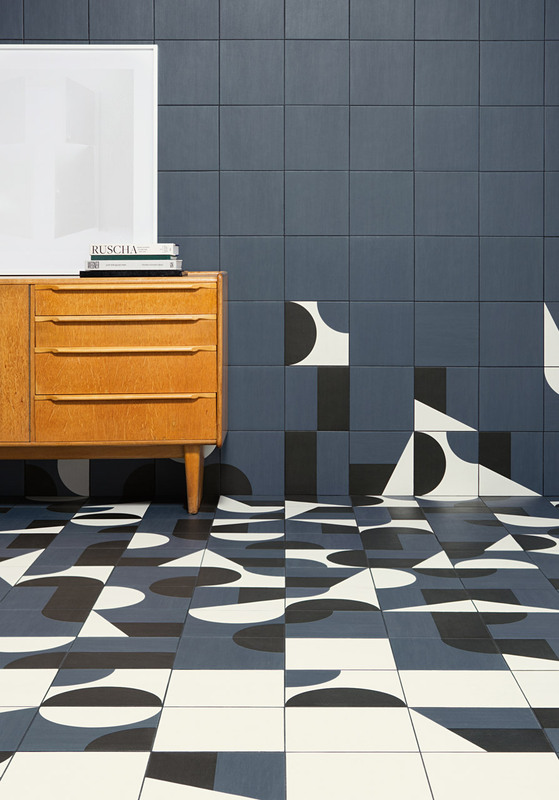 Puzzle is a collection of tiles that turn simple geometric shapes into an infinite array of puzzle-like patterns on your walls and floors. Depending on how they’re laid out and what colors are used, the results can be simple tone-on-tone or a more dramatic, graphic pattern. Solid tiles can be mixed in to produce moments of calm or the bolder, geometric ones can become what looks like abstracted maps. The collection includes eight chromatic families where neutral colours represent the Northern Isles of Faroe, Gotland, Aland, Anglesey and Skye and the warmer, brighter shades are associated with the Mediterranean Islands of Creta, Milos and Murano. Within each of these families, there is a composition of six graphic patterns in three colors, a set of two symmetrical patterns in two colors called Edge, and three solid color variations.